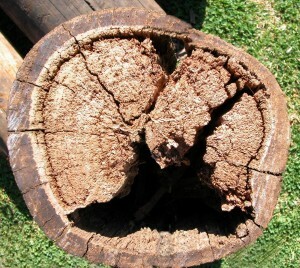 The second method for the prevention of decay is with timber preservatives. Timber preservatives kill or control rot and depending on the formulation, can also control termite and borer attack. This is a far more specialised process than with moisture barriers for the obvious reasons. It is an important consideration to evaluate the effect of these materials on the end user and the environment. As with pest control poisons, wood preservatives require to be registered for use with the APVMA. There are also wood preservative formulations that are registered as restricted use products due to their hazardous nature, similar to the restricted use insecticide and rodenticide products you’re familiar with. 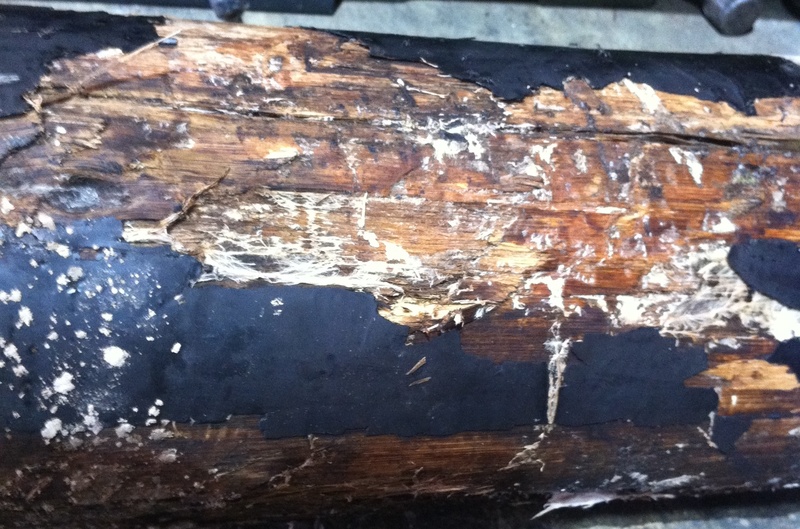 Wood preservatives come in two broad categories: Primary and Remedial treatments. Primary wood preservatives are products like CCA, ACQ and LOSP treatments, which are used to pressure treat softwood like Radiata Pine, but also in specialised situations such as the pressure treatment of sapwood on power poles. The “Hazard Level” retentions of preservative chemicals in primary pressure treated timber, is specified under AS 1604. This standard sets treatment levels into 6 Hazard Classes. Timber is then treated to one of these Hazard categories depending on what its end use profile is going to be. This now leads us to the last category of timber preservatives, which are the remedial treatments. These products are different to the primary treatments in that they are applied to in-situ timber to prolong it’s life or to deal with active decay. As with primary treatments, there are many products on the market. Most are bush on type preservatives, though there are solid slow release formulations used as internal treatments. This is where things get interesting for pest controllers. Many of these preservative treatments are dual purpose as they offer localised protection against insect attack. The most common active ingredient in these dual purpose treatments, is Boron. Boron is a very effective preservative as it’s high in efficacy and is also water soluble. This means that when applied correctly, it diffuses into the timber. Thus with an internal and external treatment, you can remedially treat a large zone that is not possible with solvent based bush on systems. It’s other key advantage is its low toxicity to most plants and animals, hence low environmental and end user impact. But there are two key limitations to boron based wood treatments which need to be understood. Firstly, as they are water soluble, they will leach out in the presence of moisture. This limits the life of the treatment in exposed or damp locations. Secondly, it’s insecticidal properties are limited in that they aren’t strictly contact poisons like pyrethroid and fipronil based products. Termites for instance, won’t necessarily attack the boron treated zone, but will bypass it to attack untreated timber elsewhere. So for termite prevention or eradication, boron based wood preservatives should only be used as part of the overall treatment strategy, not as a stand-alone solution. Preschem manufactures a small range of boron based preservatives that have a proven track record. Polesaver Rods and No-Rot are solid slow release internal treatment that is applied by drilling treatment holes and inserting the rod or pellets. The product then diffuses slowly over time in the presence of moisture, protecting timber from the inside out. Polesaver Rods are used to treat each and every Australian power pole at and below ground-line, and has a life cycle of between 4-10 years depending on the environment. Re-application is straight forward as well, simply refill the treatment hole with Polesaver then reseal. Preschem’s No-Rot Gel and No-Rot Gel Industrial are external brush on treatments that diffuse up to 30mm when applied correctly. These two products should not be used on weather exposed timber without a surface coating, but besides that offer excellent preservative properties.